I’ve mentioned before that I liked 4th Edition D&D on the whole but one thing that always bugged me was the handling of Magic Items. They were wholesale, something players expected (and needed) from the moment they started playing. It took away from the “magic” of a Magic Item. 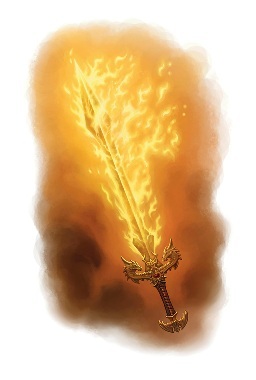 There was no real mystery surrounding a +1 flaming longsword anymore because it had to be something widely available for players to keep up with the scaling of level. Magic Items were integral to the leveling process. I’m not going to pretend that 3.X didn’t do this on some level as well, just certainly not to the extent of 4th. Well in 5th we’ve taken a severe back-step (not a bad thing) to the days when finding some Gauntlets of Ogre Power changed your character’s life! You’ve discovered an artifact of great power, few people have seen such things! I’ve always loved this approach and am thrilled to see this edition embracing it where the last edition nearly forced me to water down such treasures. I envy those who are starting to play Dungeons and Dragons with this edition, they’ve no baggage from previous editions, and I’ve seen such baggage take hold in a far more prevalent manner in this specific area. My players were a bit dumbfounded to discover that even a +1 Dagger found in my current Eberron game represented something special in the eyes of a shopkeeper, they barely knew how to price the thing and, at least this small shop, had no where near the funds to buy such a thing off them. It is really going to take a while to get used to Magic Items being special again. Not to mention the fact that certain items require their user to be attuned to them now & you’re limited to only three Magic Items like that. I carried a +2 Flaming Longsword for 12 levels and 2 years back in a buddy’s 3.5 game. Good times. My players did make a good point about Eberron in general being a very “magic friendly” setting so their wondering aloud why a mere +1 Dagger would garner so much attention struck me as honest criticism. It made me start to wonder where to draw the line in such a setting, and I include Fearûn in my assessment of “magic friendly” domains. It would make sense for items like basic scrolls, potions, and other magical baubles to be widely available in large cities, and to a lesser extent Hamlets, but when you get to Magical Weapons, Armor, and other equipment you’ll need to really sit down and think about whether or not to have a certain threshold of such things available for sale (though per the rules the answer is “nowhere”). Personally I’ll likely make up some rules for +1 Items and things of that nature to be purchasable in a few locations and allow for the sale of such things there as well. It’ll cost to buy them though, and selling won’t be all that lucrative. Beyond that I am perfectly happy to allow the players to dig in and really seek out an item they may wish to acquire, it may even cost them a quest or two. They could always make the trip to Sharn, my favorite Eberron city, and troll the many walkways for a shopkeeper that can help them out. I’m certain I could include an adventure or two there. 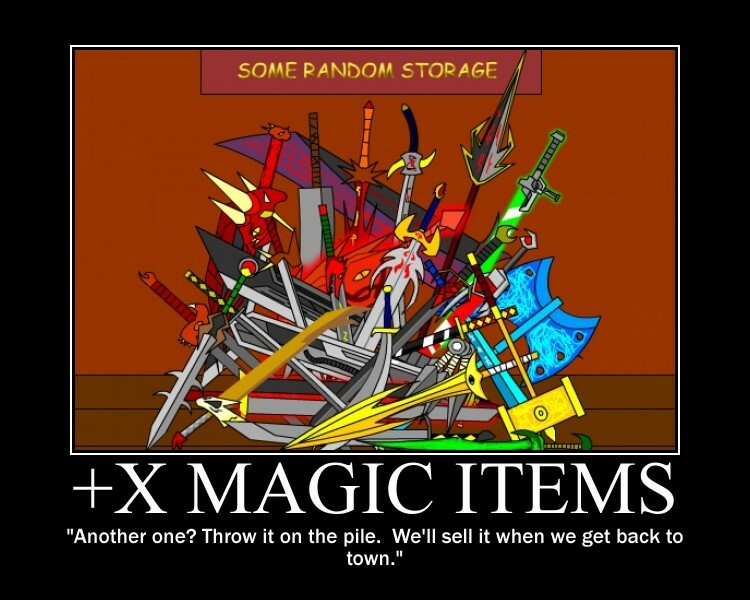 Nothing makes something more desirable than scarcity and I plan to make Magic Items pretty scarce. Hell, if I run a Ravenloft game they may never even see a Magic Item unless they put the work in! Players and DM’s are going to have to get creative with gold management, as the players may find they have more milling about now than before, but I’m sure it will result in some interesting twists in gameplay. 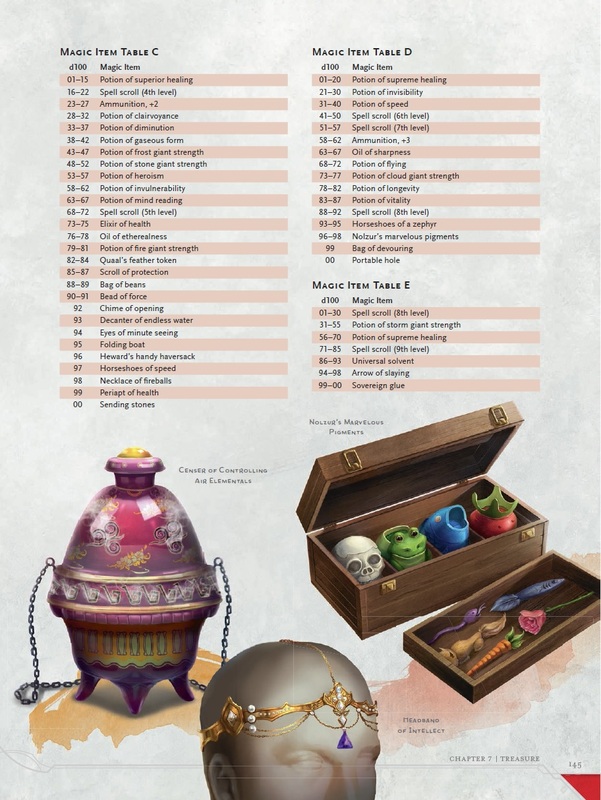 Bottom line, I love the direction taken here, as I have with many 5e choices, and can’t wait to finally see that list of Magic Items in all its glory in the Dungeon Master’s Guide! I certainly love the taste we got recently. P.S. I’d love to hear if you have any specific plans for handling a Magic Item Economy in your game! Drop me a line below or on Twitter. This entry was posted in Dungeons and Dragons, Gaming and tagged Dungeons & Dragons, RPG, Wizards of the Coast by Kevin Smith(@SharnDM). Bookmark the permalink. I agree that magic items are special again and I love it. I see the difficulty with eberron being a Pulp magicpunk setting. I have found that making an item have an awesome background more precious, I gave a dwarf cleric mithril chain but I gave it history that it was forged by dwarves of citadel adbar and elfs of silverymoon as part of their alliance as the silver marches and named the item. suddenly my player loves a mithral chainmail more than any +3 chainmail from 3.5. I think 5e, rightfully, is about the story and that now extends to the items.